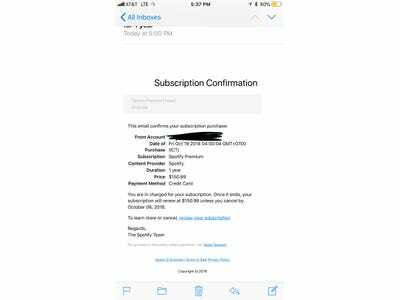 A new scam is targeting people by disguising itself as a Spotify email asking you to verify your subscription information after being charged for a year’s subscription of Spotify’s Premium streaming service. Potential victims aren’t charged for Spotify’s Premium service, but may click the link in the email because they’re surprised to receive the email. It’s a scam to get your Apple ID credentials, and it was caught by a cautious Reddit user. 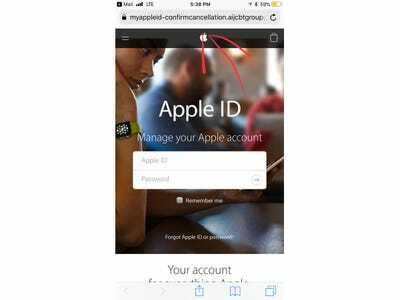 Once the scammers have your Apple ID credentials, they could have access to personal information, photos in iCloud, and the location of your Apple devices. They could even potentially make purchases without your immediate knowledge. This scam is likely taking advantage of recent changes made to Spotify subscription payments. Spotify users used to have the option to pay for their Spotify Premium account via their Apple ID, but that’s no longer the case as of August 6, 2018. Spotify is now requiring its Premium subscribers to switch to Spotify’s own payment system. Unfortunately, the screenshot taken by the Redditor doesn’t show the sender’s email address, which would likely also raise eyebrows. It might bear similarities to an official Spotify email address, but scam emails usually have some telltale signs that they’re illegitimate, like random letters and numbers in the sender’s email address. If you click on the link in the email, it leads you to a convincing-yet-fake Apple ID sign-in screen, where you’re expected to enter your Apple ID credentials. Once you hit “Next,” the information is likely sent directly to the those responsible behind the phishing scam. Above, there’s a clear sign that this Apple ID login screen is fake. The website’s URL in the browser bar starts off looking legitimate enough, with the words “myappleid-confirmcancellation,” but the following words, “aijcbtgroup…,” would never be associated with an official Apple website. 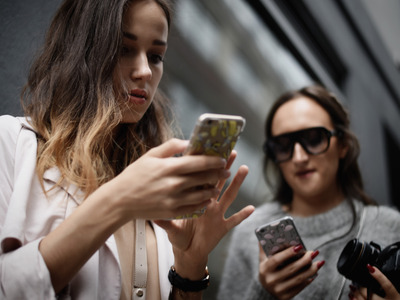 Apple does have some protective measures in place – like asking you to to verify a login with numbers sent to your other Apple devices or to your email address – so scammers may not get very far unless they have access to your other Apple devices or email address. Still, it’s better to be careful.